The following item was originally posted in October 2010. I have added it to my blog recycling program. Because I have new readers of The GeoChristian, I will occasionally go back and re-use some of my favorite blog entries (sometimes with a little editing). This “Creation Creeds” post is a statement of what I, as an old-Earth, theologically conservative, confessional, “Evangelical/Presbyterian (PCA)/with a big dose of Lutheran theology” Christian believe regarding the biblical doctrine of creation. GeoScriptures — Genesis 1:1 — When did “In the beginning” occur? I consider my “creation creeds” to be rough drafts, and welcome any input you have as I work on these. I have used the short version as an answer when fellow believers question my orthodoxy when they find out I am an old-Earther. Many of them have been told over and over that if one accepts an old Earth then the doctrine of sin is thrown out the window, and that there is then no need for a savior. This is simply not true. As an old-Earth Christian “I believe in a real Adam, in a real garden, in a real fall into sin, in real consequences for that sin, and in Jesus Christ as the only solution for sin.” The age of the Earth has nothing to do with it. 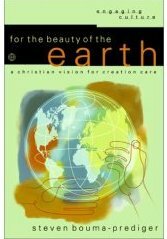 The long version is an elaboration filling in some details and adding some additional points, for example on creation care. These are creeds: short statements about my core beliefs. They are not intended to be exhaustive defenses of my doctrine of creation, which would take a book in order to present adequately. 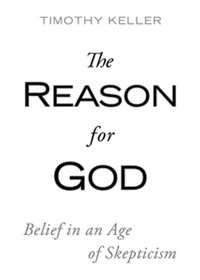 The phrase “old-Earth creationist” is taken by some as synonymous with “old-Earth anti-evolutionist,” such as the position advocated by Hugh Ross. I don’t take a stand for or against most of biological evolution, as I don’t believe the Bible addresses the topic. I have made only two changes to my October 2010 version of the Creation Creeds. Both changes were to the longer version. 1. I inserted the phrase “from nothing” to the second line. Perhaps the statement about Eden isn’t even necessary. I have included it as a counter to the common YEC assumption that the entire Earth was a picnic ground, what I call the “bunnies and daisies” interpretation. Instead, it seems from Genesis that the world outside of Eden was a wild place in need of subduing. The statement about the garden is more important than making a distinction against YEC claims. In non-dispensational reformation theology, the garden represents the dwelling place of God and man, since, even in the beginning, heaven (God’s dwelling place) and earth (Man’s) were two distinct spheres. The garden, with the tree of life at the center, represents the place where the two overlap, in the presence of God. Had Adam obeyed, I presume that the garden would have spread along with his progeny, to cover the whole earth. The reason for this comes out of Revelation, where we see the final dwelling place of God and man being a new heaven and new earth, which can be seen as a complete overlap, where Man can dwell with God. Do you have any suggestions for a better way to word the Garden of Eden line (line 7)? I would split it into two clauses, restoring the language you had taken out, which is important. I wrote the second line before I noticed that you had removed one similar – you can take or leave my wording. “I believe in a real Garden of Eden, in a specific place and time upon the earth, which was the dwelling place of God and man.” <– I think mentioning Mesopotamia is helpful, but not necessary. We presume the locations in the Bible correspond to that region, but I would leave it open for evidence via better biblical or scientific inquiry. "I believe that Adam was mandated to subdue creation in a state of perfect obedience, via the stewardship and continued obedience of him and his offspring, to bring the whole earth into perfect, eternal communion with God." AdmiralPorkchop — Thanks for the suggestions. Hey Kevin, as I understand it, this creed essentially argues that the Almighty kick started everything out of nothing, directed evolution more or less as the theory says over billions of years, and then came back in to create people a few thousand years ago? Is that correct? Thanks! God is intimately involved in all of his creation at all times, whether he uses ordinary natural processes such as plants growing or rain clouds forming, or supernatural interventions such as the crossing of the Red Sea or the resurrection of Christ. This is very different than deism, in which God gets the ball rolling and then it is all a hands-off cause-and-effect process. I have left my Creation Creeds ambiguous on the degree to which God has intervened in the creation process. When God said “Let the land produce vegetation,” or “Let the land produce living creatures” (Gen 1:11,24), these are not creations out of nothing as it was in Gen 1:1. But is there a “natural” process that God is pushing along (something like evolution), something like animals popping out of the ground as in C.S. Lewis’s “The Magician’s Nephew,” or something else? I don’t know, and the Bible is rather vague. But you do believe the Bible addresses the age of the earth? Like many conservative Evangelical pastors and scholars, I believe that the Bible does not require a young Earth. I don’t say that the Bible teaches an old Earth, but that it is ambiguous or silent on the topic. Therefore I can go wherever the evidence leads, and I believe the scientific evidence overwhelmingly points to an old Earth. So then, is it fair to say that you think that the Bible is silent about both the age of the earth and evolution? As I said in the Creation Creeds, “I believe that the Bible does not dictate when this creation took place.” I’ve elaborated in some of my GeoScriptures articles. I also don’t think the Bible says much about biological evolution. 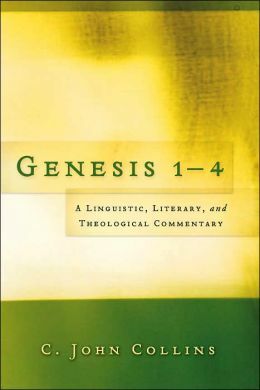 The typical YEC insistence that the the use of “kinds” in Genesis 1 prohibits biological evolution is reading more into the text than is required. All the text is saying is that horses reproduce horses, and petunias reproduce petunias. It does not say that the genetic makeup of populations of these species cannot change from generation to generation, nor does it place a limit on how far that variation can go. If there is a limit to biological evolution, it is a “natural” limit, not a scriptural one. I have summarized what the Bible says about biological evolution here: What the Bible says directly about biological evolution. I think the Bible plainly teaches the yec position on creation and the global flood. There is no way a plain reading of the text would give you any other position. I am attracted to your Q&A on this topic. You clearly state the problem I feel grows from doubt. That we struggle to debate and communicate our questions about God’s gift to us, The Earth and the lives that grow here. I like to use this example about disagreement, Denominational differences being a distraction from what Jesus asks of us, “nicely”. Jesus asks us to Love and encourage love with Truth and Trust being the goal. and everywhere I look I hear Trinity this and evolution that?? followed by groanings and dismay. I’ll give my wording some thought, and I appreciate your input. My “Creation Creeds” are intended to state what I believe theologically. I don’t think the Bible says anything about biological evolution one way or another, at least for non-humans, so I didn’t state anything like “I believe that God used evolution as his means of creation.” I believe that biological evolution is primarily a scientific issue, not a biblical issue. Having said all of that, I accept most of evolutionary theory, and believe that it is a primary means by which God has arranged the world to be as it is. 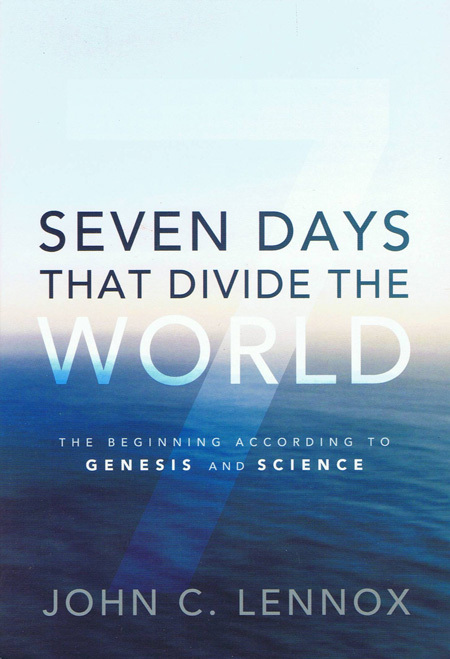 Perhaps there is a hint of this in Genesis 1:11, where God said, “Let the earth sprout vegetation,” and Genesis 1:24, where God said, “Let the earth bring forth living creatures.” These verses allow for a natural process to unfold over time, but it would be a stretch of Scripture to say that these verses require biological evolution. I think the evidence is against life forming from non-life by natural means, but that is a scientific conclusion, not a Biblical one. I think there is compelling evidence that evolution did not take place in the creation of the world and of living things: the missing link of Darwin, the fact that everything breaks down in nature with little indications of things being built up, the fact that intelligent order is everywhere with complex systems intack and delicate balances keeping things in check and a predetermind and calculated means and way of reproduction of all things living, among many other indications. What I do believe exists in creation however, is the ability of living things to change in varying degrees being influenced by living forces of nature, but these changes must follow along and be a part of the inherent order of it’s own existance, another words, a bilogical substances such as minerals in the soil can influence the quality and characteristics of a living organism allowing changes of health and fluxuations of adaptablility, but it cannot mutate a living organism into “something else”. I think all things must act and react within a basic blueprint of individual existance and I think it would be a stretch to call minimal changes and adaptabilty ‘evolution’. Also, I think that Science and Spirituality are different sides of the same coin. As God created all things, all existence must reflect the inherent aspects of God, that is that creation has both substance and spirit, order and direction, and that even a blade of grass, that is thrown into the fire, is arrayed with a life force ( part of the spiriutal aspect of it’s nature) flowing through the substance of it’s matter. The idea, “created from nothing”, is a modern concept that is a mind set that came into modern thought as a counter to evolution and subsequent Big Bang theory. For God to be existing in nothing for infinity past waiting for a point in that infinite eternity to create is beyond my finite imagination. What was He doing in the infinite past in that nothingness ? Most remember the first time we heard the Name of God, I am that I am, and how that made us feel, their are things beyond knowing. 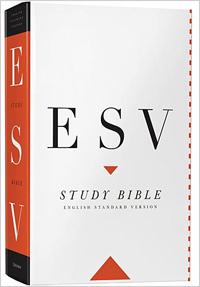 Many Hebrew Scholars have done studies of the first verse of the bible which have attempted to reconstruct the Ancient understanding of the word,(Bershet) In the “beginning”, asserting that “from” is implied rather that “In”. It may not have been intended to mean God said; “In the beginning God created the Heavens and Earth” but “from the beginning” of eternity past. “Let there be light”, verse three, was in response to the darkness on the earth in verse two. Not “let there be light ” and bang there was light, but the revelation of what was already there. Order purpose and function being the focal point. (Dr. John Walton) Compare John;1 In the “beginning” was the Word etc. again this use of beginning doesn’t support from nothing as The word of God is eternal. The Earth has a beginning but Heaven, if defined as the dwelling place of God didn’t. Randy — Thanks for your comment. It seems that you are assuming that God is somehow restricted by time, or that time is outside of creation. If time is part of creation itself, then there is no infinite past that causes logical difficulties. A stronger case for creation ex nihilo of the universe (Earth, stars, galaxies, etc.) is found in Hebrews 11:3 — “By faith we understand that the universe was formed at God’s command, so that what is seen was not made out of what was visible.” (NIV 1984). People, no matter what discipline or subject- have this need or drive to “be right”. People will believe just about anything. The way a person “sees” things varies from person to person for physiologic reasons stemming from the brain. What I mean by this is that there are genetic, developmental and physical variations in the human brain for its capacity to understand and how it perceives. “Natural processes” i.e. laws of physics and “miracles” both are authored by God. We can’t explain the known laws of physics any more than we could explain a “miracle”- We can only observe. People somehow think “natural laws” are somehow neutral but to me indicate how awesome the Creator indeed is. God somehow had to invent and create the universe so that it indeed works and so that humanity could be planted in it. So if it is assumed there is a Creator we should not separate natural and supernatural, science and the supernatural since the one and the same is responsible for both. If you believe all things were made through Christ Jesus then you have to believe He invented and made up the natural world and the way it behaves including space-time, particle physics, electromagnetic radiation and gravity, dark matter and dark energy and other things unknown. Scholars are called scholars because they stew over ideas, set forth proposals, have some sort of evidence for why they propose what they believe and then are accepted by others. It is a manmade position. You don’t have to be a scholar or expert to make a good point or to have understanding of a good argument. 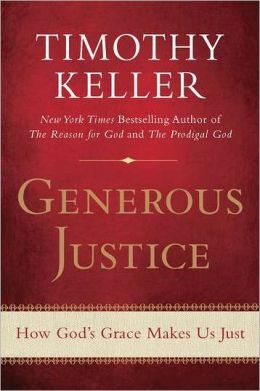 Not all persons have the same capacity for understanding (God) nor the same concern for understanding or knowing (God). Think about a two year old, a young adult, a person with dementia- their capacity to think about the things of God varies within their lifetime. In my own wrestling and meditation on the Bible I have a few conundrums I would like to throw out there. And this may be directed at those who say they “believe the whole WORD of GOD” but I would say manipulate it for what they want to believe. 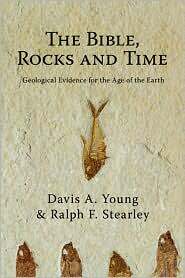 YEC say most of the geology (and I mean sedimentary rock with fossils of the earth) was formed by Noah’s Flood. How is it dinosaur nests with fossilized eggs-including some that hatched have been found in various sedimentary layers in great numbers? So if I read Genesis in a straightforward manner, God’s purpose was to destroy all breathing animals. Water covered the highest mountains. If this flood event was responsible for depositing many thousands of feet of sediment over the surface of the earth in a relatively brief time what possible explanation could explain where the sediment came from in the first place and how groups of large dinosaurs could gather, make nests, lay eggs and have them hatch, have the nesting area get flooded and buried by sediment, gather again, make nests, lay eggs, have them hatch, get buried again by sediment, gather together, get fertilized, lay eggs and have them hatch and then get buried again and again so that another thousand feet of earth covers them only to then be eroded away so that their remains could be discovered in the 21st century. It can’t be explained within the framework of a single world-wide flood event and so it only makes sense if it was done over time. The third area I have a problem with is that if the earth is old as in 4.6 B years and the story about Noah can’t be taken literally then why should the story about Adam and Eve be taken literally seeing as the universe seems to be 13,? B years old. It just seems that Christians arbitrarily say there was a real Garden with a real Adam and Eve but have no real time frame or justification other than it is a story from the Bible. Anyone else see difficulties in what we believe? and maybe why we believe what we believe. I agree that many of us (myself included) have a drive to “be right,” and that this can cloud our thinking. I also agree that the way we see things–in science, theology, relationships, or any other area of our lives–can be as much a product of how our brains are wired and our backgrounds, rather than on clear reasoning. There are, at times, tensions between what I read in the Bible and what I understand from science. Those tensions are not nearly as great as some–usually young-Earth creationists and skeptics–make them out to be. I believe that all truth is God’s truth, whether revealed in the Bible, or revealed in nature. Right now we do not have complete understanding of either the Bible or nature. If we ever get to the point of complete understanding, these tensions will disappear. There seems to be a large ignoring of logic and scripture in order to hold opinions of a local flood and an old earth. It’s not just a local flood, it was THE WHOLE WORLD. The earth was defined as the dry land. now if the whole earth is covered, the whole dry land would be covered. Not part of the land. Everything under the THE WHOLE HEAVEN was covered, not just a part of it. He didn’t create animals then wait millions of years to create man. He made them within days of each other. To say that scripture is silent on these is either a lie, or its ignorance. I think you should be much more careful in your trusting of evidences given by today’s scientists. They often do not agree with scripture, and when they don’t what do you do? The crux of the matter is, where are you going to get the truth? Who are you trusting to give you the truth? The evolutionist scientists? The creationist scientists? Charles Darwin? Yourself? Your own eyes?